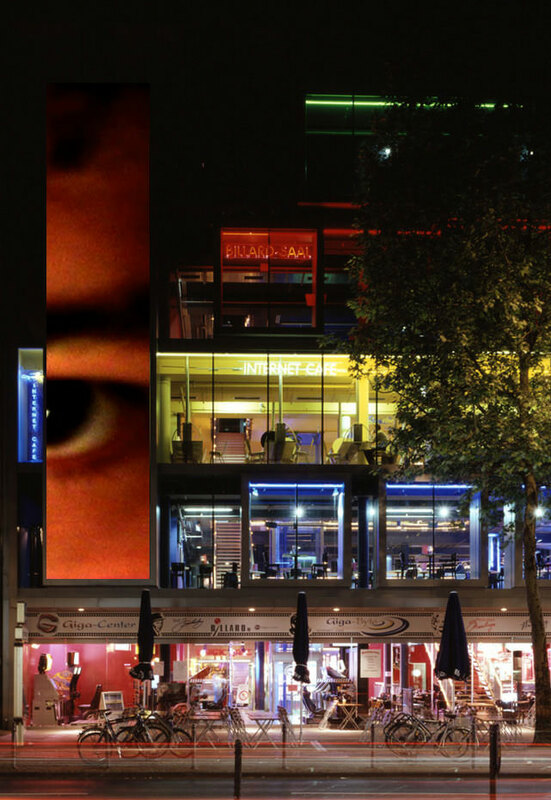 2 Projections for the screen (13×2,6m) at the facade of the “Gigacenter” video arcade in Cologne. Windowlicker: I lick the giant screen blank. Morse: I use the giant screen as a single pixel and send an SOS.